Global lift-hailing giant Uber will acquire its Middle East rival Careem for $3.1 billion in the region's largest technology industry transaction, the two companies said today. The deal boosts Uber's worldwide presence ahead of a keenly anticipated stock market debut. "Careem and Uber are joining forces. We have reached an agreement in which Uber will acquire Careem for $3.1 billion," a joint statement said. Under the deal, Careem will become a wholly owned subsidiary of Uber but the two app-based transport and delivery companies will continue operating independently, the statement said. Careem said it will retain its branding, services and separate app in the greater Middle East region. It is expanding its services to include mass transportation, delivery and payments. Uber will pay $1.4 billion in cash and the remaining $1.7 billion in convertible notes, the joint statement said. "Uber will acquire all of Careem's mobility, delivery, and payments businesses across the greater Middle East region, ranging from Morocco to Pakistan, with major markets including Egypt, Jordan, Pakistan, Saudi Arabia, and the United Arab Emirates," it said. 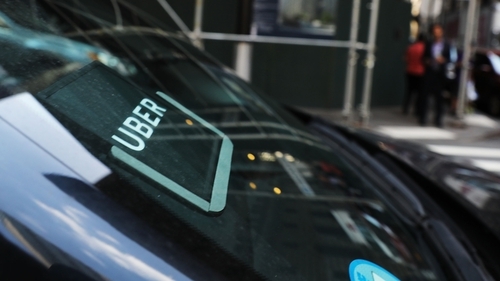 The acquisition comes as Uber prepares for its initial public offering - expected next month - which could, according to some estimates, see its value increase to $100 billion. Dubai-based Careem, established in 2012, boasts more than a million drivers and 30 million users across 120 cities in the Middle East and North Africa. Uber, established in 2010, entered the Middle East market two years after the creation of Careem and the two companies remained in direct competition in a fast-developing market. Uber chief executive Dara Khosrowshahi described the move as important for the company's expansion plans. "Working closely with Careem's founders, I'm confident we will deliver exceptional outcomes for riders, drivers, and cities, in this fast-moving part of the world," the Uber chief added. "Joining forces with Uber will help us accelerate Careem's purpose of simplifying and improving the lives of people, and building an awesome organisation that inspires," Sheikha said. The acquisition, which is subject to regulatory approvals, is expected to close in the first quarter of 2020. The two companies said that together they will be better placed to improve the region's transportation infrastructure at scale and offer diverse mobility, delivery and payment options. It will also speed up the delivery of digital services to people in the region through the development of a consumer-facing super-app that offers services such as Careem's digital payment platform (Careem Pay) and last-mile delivery (Careem NOW), they said.